Your credit score sums up the way you handle your financial obligations and gives a lender an idea what they can expect from you when they approve your loan. Like it or not, your credit score is the first thing a potential lender will look at when you apply for a mortgage. There are many factors used to determine your qualifications for a home loan. Your credit score remains the most important qualifier in 2019. In the simplest of terms, a bank uses your FICO score to determine your character. Long gone are the days when everyone knew everyone else in town. In those days, your banker had a good idea of who you were. Maybe you were friends. Maybe you knew each other because you chatted about baseball over the lunch counter every day. These days, it’s unlikely you know your lender personally. Many lenders are making loans in regions all across the country. Because they don’t know you, they must determine your likeliness of paying back a bank note. They do this by looking at your credit history. While it doesn’t reflect your true personal character, your credit score tells the bank how you handle your financial affairs. That’s the information needed for your lender to agree tp hand over tens or hundreds of thousands of dollars to you. Your FICO score will determine the type of loan you qualify for. Many first time home buyers think they may not qualify for a home loan, but there are loans available for almost every financial situation. Your credit score sums up the way you handle your financial obligations. However, two factors that carry the most weight to your banker are payment history and amounts owed. This gives the lender an idea what they can expect from you when they approve your loan. No matter your FICO score, remember that it is a one-time glimpse into your financial history. Your score changes every month, sometimes more than once per month. Good or bad, every financial transaction you make adds to your credit history. If you want to improve it, the most important factor is to make your payments on time, every time. The second most important action is to reduce your debt. If you have more than one credit card, pick one to pay off. Budget a substantial amount over the minimum requirement for one card and keep chipping away until it’s paid off. Then close the account. Even if you don’t have a balance on a card, it could impact credit consideration. Lenders look at active credit cards as a sort of loaded weapon: Yes, it has a zero balance, but yes, that could change at any time. If you don’t need the card, then close the account. Your good payment history will still show on your credit report. 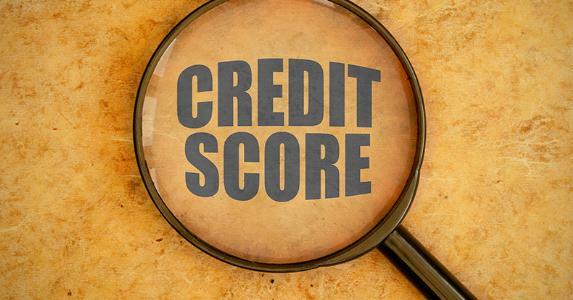 Your credit score is very important to your lender when qualifying you for a home loan. The good news is that if you want to improve your credit, you can start now. Every action you take towards honoring your credit obligations reflects in your credit history. No matter your FICO score, you will likely find a lender who will qualify you for a loan. Lenders base terms and interest rate on your credit score, but that doesn’t mean you won’t qualify. Terms and interest rate may be more than you like. But don’t forget that you can improve your credit history substantially in one year and after your financial history improves, you can refinance for better terms.